The Sacha Inchi (Plukenetia Volubilis L.) is a native plant of the Peruvian Amazon. This plant in the Peruvian Amazon has been known by natives for thousands of years, and was used by the pre-Incans and verified by relics found in tombs. In Peru, they had met the mother of god, in Huanuco, Oxapampa, San Martin, Rodriguez de Mendoza, Ucayali (Pucallpa, Contamana and Requena), Putumayo and around Iquitos and oxbow horse. In the region of St. Martin you can found along the Huallaga basin to Yurimaguas, in the highest May under May, sub. Cumbaza Basin and areas of lamas, in the Shanusi sector. Current scientific studies point to the Sacha Inchi as the best oilseed for its composition and nutritional quality: the oil is high in Omega 3 essential fatty acids (over 48%) and Omega 6 (36%). 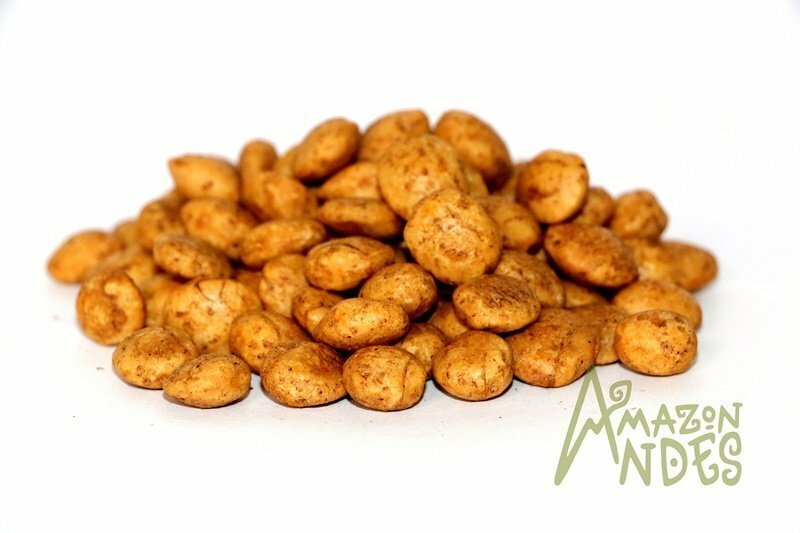 Digestibility is very high (over 96%), antioxidants vitamin A and alpha-tocopherol vitamin E. More than 60% of the defatted almond is high quality complete protein (99% digestible), very rich in essential and nonessential amino acids in amounts sufficient to health. 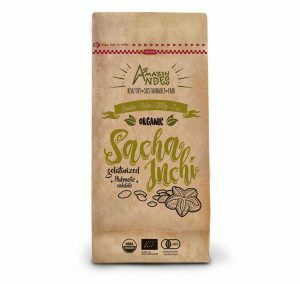 The quality of our products reflect the complete organic process of sacha inchi products ; beginning with our growers in the amazon zone(Lamas, Tarapoto in Peru). Assists in treating Crohn's disease. Sacha inchi oil contains Omega 3 which constitutes an important part of the cell membrane, increases the life time of the cell, which will give the whole organism higher quality and lifetime. The brain is one of the organs with high levels of lipids (fats), brain fats, fatty acids formed by, participating in the structure of cell membranes. 50% of the fatty acids are a polyunsaturated gray matter, one third is from the family of omega-3 and its origin lies in our daily diet. Omega 3 and Omega 6 acids in our diet are stored in the cell membranes. It should be noted that on the cardiovascular level, the actions of Omega 3 are benign but not the excess of Omega 6. The Omega 3 is the precursor for the development of DHA that it needs to generate fetuses for brain development, as well as during the first years of childhood. Omega 3 fatty acids include "alphalinolenic" and its derivatives the "Eicosapentanoic" (EPA) and "Docosahexaenoic" (DHA) fatty acids. The most important Omega-6 fatty acid is ARA, arachidonic acid (ARA). DHA (docosahexaenoic acid) is the predominant fatty acid in the structure of the brain and retina, it represents approximately 40% of polyunsaturated fatty acids of the brain and 60% of our eyes, it is made from DHA Phospholipids cell membranes, which is their final location, where they have the most metabolic functions. Cells that are being developed as is in the case of the fetus and growing children have a high requirement for DHA. Phospholipid concentrations in the presence of DHA in the retina decrease with age as well as various other sensory functions. Fatty plasma acid composition has been associated with depression in the elderly, and in schizophrenia it was said to have reduced the turnover of phospholipids. In various types of dementia, including Alzheimer's disease, Levels of low plasma membrane omega-3 constitute risk factors for these diseases, so that older people consuming Omega 3 are positively associated with the cognitive level. Studies have revealed that people with low levels of Omega 3 and Omega 6 are higher or more likely to suffer senility. 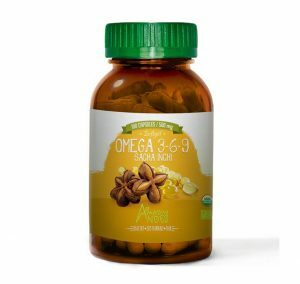 The omega 3 can reduce cognitive decline in patients with lenient Alzheimer’s, however, it seems not to influence in the cases where the disease is more advanced. The inner layer of the arteries become inflamed to a lesser extent which leads to a lower propensity to heart blocks, i.e. fewer heart attacks and strokes. and hence the possibility that it is deposited on the vessel walls. The Omega 3 prevents the formation of blood clots, helps lower cholesterol and triglycerides, platelet aggregation in the arteries, also it diminishes the formation of fat in arteries. Cholesterol and triglycerides (which are a type of fat consumed in food or are produced by the liver) and are important for our body to kept in good shape, but when the both levels are high, it can put people at risk of developing heart disease or strokes because of the blood increases its viscosity and becomes thicker, creating problems in the circulation. The lack of omega creates a vulnerability, which could cause the heart muscles to arrhythmias, which is a common cause of death, after heart attack. especially colon , breast and prostate cancers may further reduce the size of tumors and impede the development of cancerous cells or avert malignant tumors to reproduce in other parts of the body. In breast cancer these acids inhibit the action of estrogens that are causing the development of breast tumors. Osteoporosis is manifested in the form of fragile bones which do not need a strong movement to produce a serious injury. This is mainly due to low intake of foods or a low calcium diet. The Omega 3 helps prevent osteoporosis by using a dual mechanism, to Prevent calcium excretion through urine and, moreover, increase the absorption thereof. Rheumatoid arthritis is an inflammatory disease in which our immune system attacks the joints and sometimes other parts of the body. 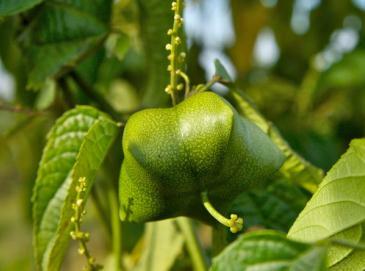 In the literature have found no reports about contraindications to the use of sacha inchi oil, and or possible drug interactions. However clinical studies at different doses and at different treatment times are needed to confirm their safety, but their safe use is established by the traditional use for hundreds of years by the Peruvian people. 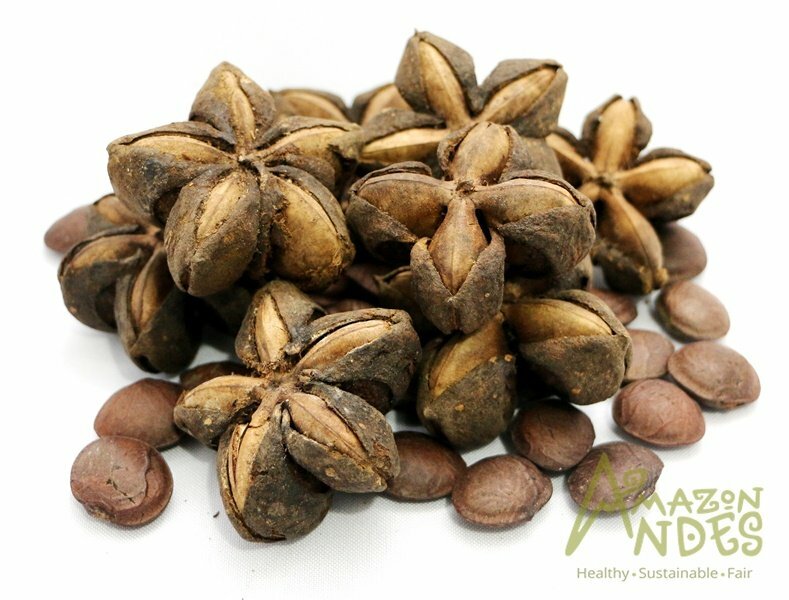 The recommended adult dose is two tablespoons of oil per day of sacha inchi, and a spoonful, for children. In case of consuming the seeds, they should not exceed seven to eight daily nuggets. You can include it as salad oil, mashed, or pure or as a lunchbox snack for children. There is no interaction with other foods, so you can eat it with no problem at breakfast, in juices, spread on bread, use in fruit salads, at lunch or dinner, there has not been any reported cases of allergy to this seed. 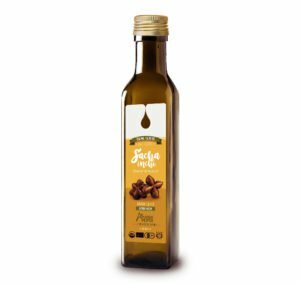 Its high concentration of oil, flaxseed oil exceeds and is a rich source of vitamins A and E, both with antioxidant capacity. Thereby improving the appearance of the skin and prevent premature aging. In pregnancy: Eating nuggets or oil during pregnancy helps reduce the risk of hypertension and is essential in the development of neurons in the fetal brain. Adults: We recommend eating 15 g (about 1 1/2 tablespoons) of Sacha inchi instant powder per day, accompanied by their drinks, desserts. The sacha inchi has different presentations according to their different processes, but has proven effective in each use.